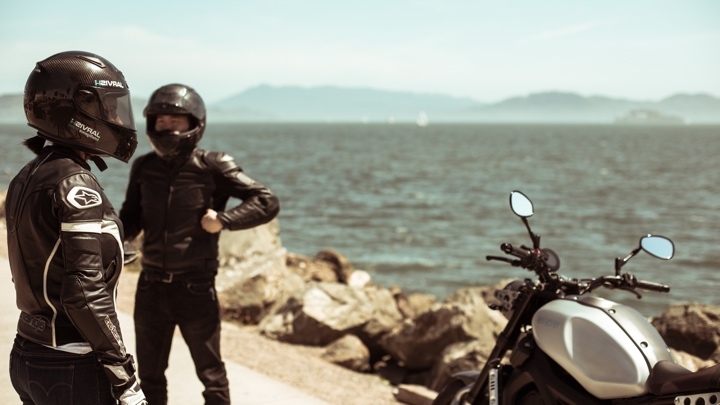 Yes, smart motorcycle helmets are a thing and we've even tested one. Now Taiwanese startup Jarvish has unveiled its second generation helmet that brings Alexa and an augmented reality display to the party. After launching its X helmet in 2017 (which has apparently proved popular with the Taiwanese police force), the X-AR builds on the connected features, notably adding a HUD display based on optical waveguide technology to show information such as traffic and weather conditions and smartwatch features like call notifications and music controls. Jarvish has also added an 2K full HD rear-facing camera, which can be activated by the onboard mic and speakers that offers voice control support including access to Amazon's Alexa assistant. With the Alexa support you'll be able to tell the helmet to take control of the cameras, retract the HUD and adjust volume on the speakers. The HUD can now also display images from the rear-facing camera too. While the carbon fiber helmet is packed with tech, the team behind it has ensured that is of course safe to wear and says that like the X, the X-AR is fully certified including ECE R22.05 (Europe), DOT (US and Canada), CNS 2396, CNS 13438, CNS 13439 (Asia), FCC (electronic radiation safety certifications). Other features include 16GB of built-in storage, which is expandable with 256GB memory cards, Bluetooth and Wi-Fi connectivity, roughly four hours of battery life and will work with Android and iOS smartphones. Pricing for the X-AR has not been firmed up just yet, but it is expected to be over the $1,000 mark, making it an expensive purchase and more than the first helmet, which costs $598. It is expected to start shipping around early 2019. So there's a bit of a time to wait for it, but if you sign up to the Jarvish newsletter, you'll be able to get 35% off the full price when it's ready to ship.